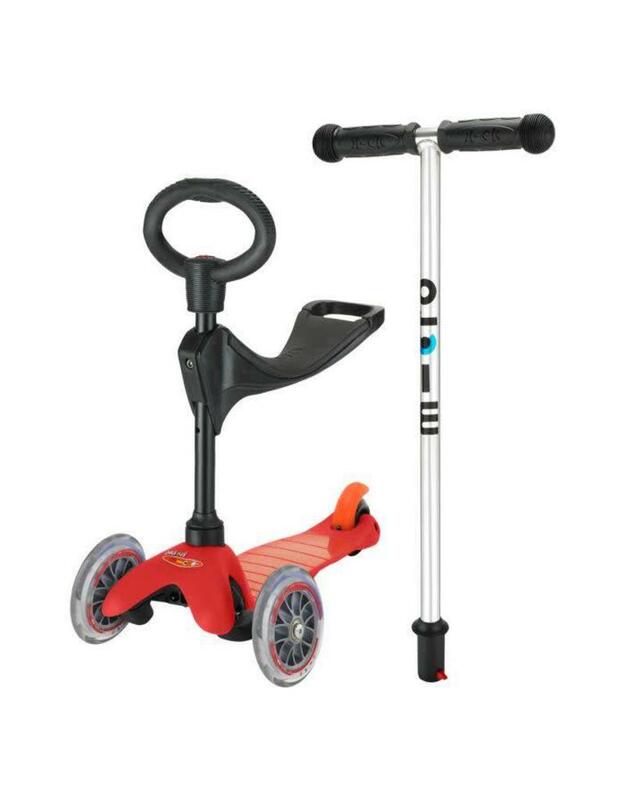 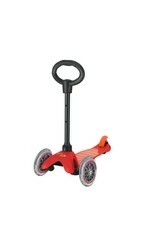 A ride-on, toddler and Mini Micro scooter all in one. 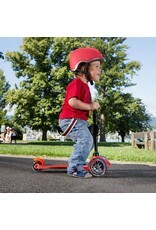 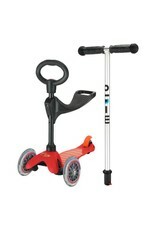 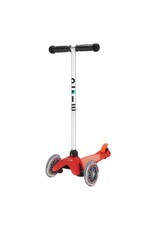 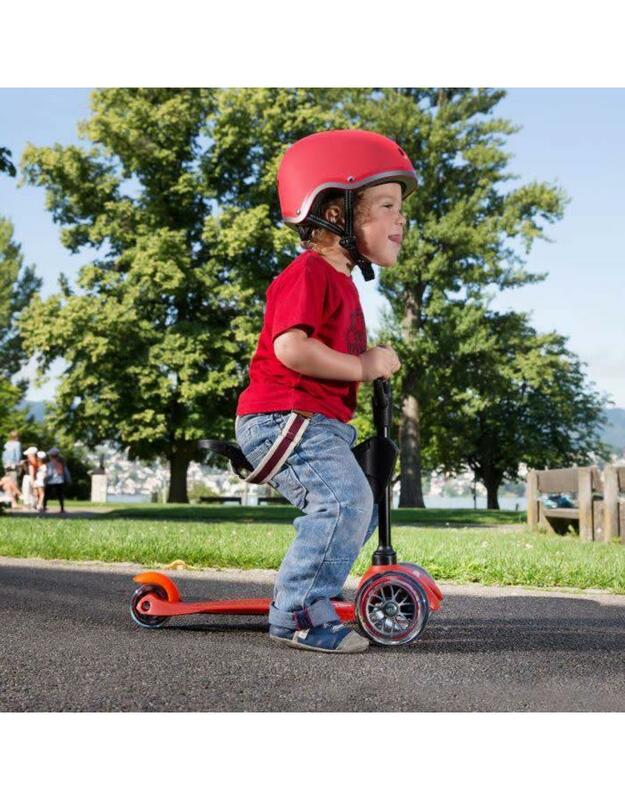 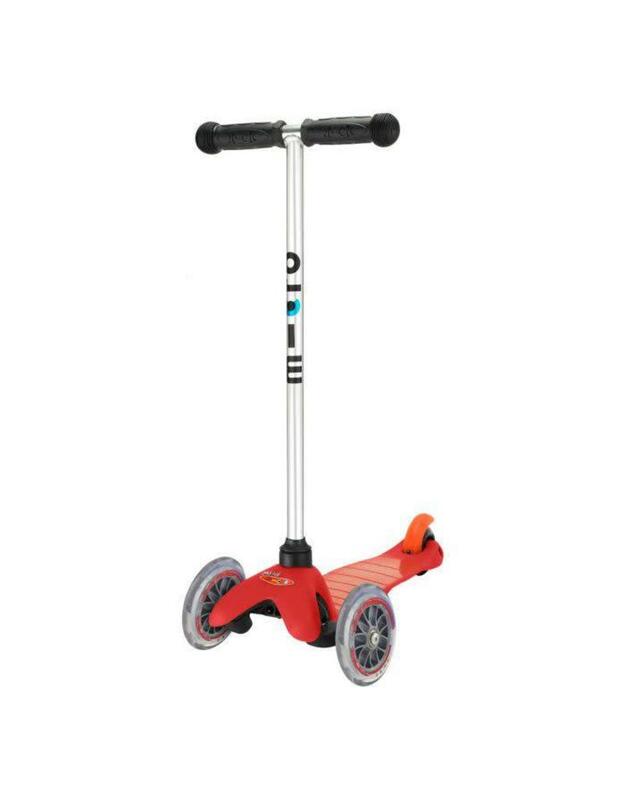 The cleverly adaptable and exquisitely designed 3in1 Mini Micro will be the only ride-on toy you will need, as the scooter will adapt as your child grows. 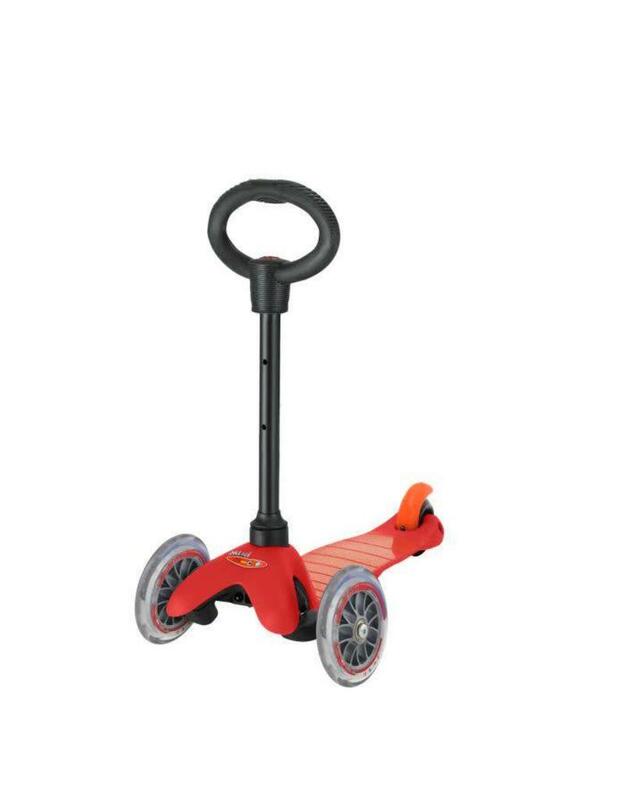 Use the seat at 12 months, until they are confident enough on their feet; at around 18 months, the O-bar will teach them to scoot with greater control, which can then be upgraded to the T-bar once they have found their stride, from around 3yrs+.